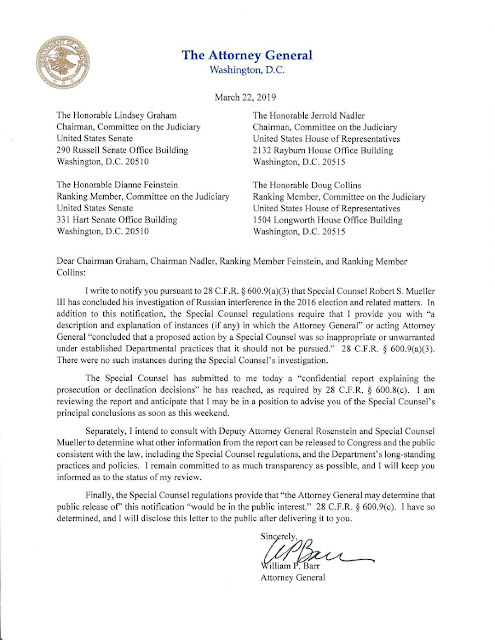 VietPress USA (March 22, 2019):Nearly two years of investigation, today on Friday afternoon, March 22, 2019, Special Counsel Robert Mueller just submitted a confidential report on the Russia investigation to Attorney General William Barr . Democratic Lawmakers request to public the whole report. “There is tremendous pressure but also every reason for the attorney general to release not just the report but the documents that support whatever conclusion the report reaches,” Lofgren said. This will form up a hard battle between the Justice Department and Congress over how much of the report — including details about the conduct of key witnesses, and even the president himself — gets released to Congress and the public. 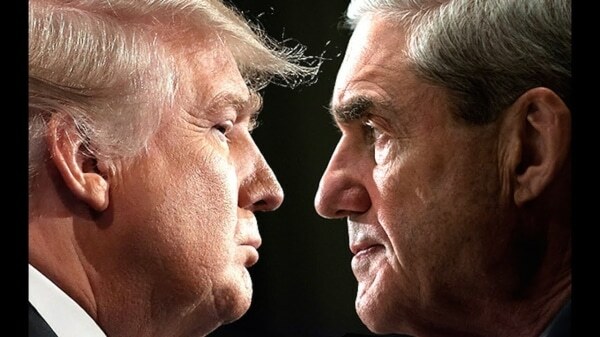 Special counsel Robert Mueller submitted a confidential report on the Russia investigation to Attorney General William Barr late Friday afternoon, bringing an apparent end to a nearly two-year criminal and counterintelligence probe that has rattled the Trump presidency. The wording of Barr’s letter could kick off an intense and protracted battle between the department and Congress over how much of the report — including details about the conduct of key witnesses, and even the president himself — gets released to Congress and the public. Democrats have already signaled they will settle for nothing less than seeing the full document and the underlying evidence that Mueller gathered. Rep. Zoe Lofgren of California, the second ranking Democrat on the House Judiciary Committee, said on the Yahoo News podcast “Skullduggery” on Thursday that what is already known publicly of Trump’s conduct is “in the neighborhood” of impeachable offenses, but that Mueller’s findings would ultimately determine whether she and other Democrats on the committee push for the president’s removal. “There is tremendous pressure but also every reason for the attorney general to release not just the report but the documents that support whatever conclusion the report reaches,” Lofgren said. Still, President Trump, who has repeatedly denounced the Mueller investigation as a “witch hunt,” is likely to claim some measure of vindication since the filing of the report was not accompanied by announcements of additional indictments accusing any members of his administration or campaign of colluding with the Russians during the 2016 campaign. Trump’s son Donald Trump Jr. and his son-in-law Jared Kushner were both the subject of widespread speculation that they could face charges in Mueller’s probe. Since he was appointed in May 2017, Mueller’s team of prosecutors have convicted and taken guilty pleas from Trump’s 2016 campaign chairman Paul Manafort; a top campaign deputy, Rick Gates; his deputy longtime personal lawyer Michael Cohen; his first national security adviser, Michael Flynn; and a member of his foreign policy advisory board during the campaign, George Papadopoulos. His longtime political adviser Roger Stone was indicted and is scheduled to be tried in November. In addition, the special counsel’s office has returned major indictments of Russian military intelligence hackers and internet trolls, accusing them of participating in a broad Russian effort to influence the 2016 election in Trump’s favor. But none of the indicted Trump campaign associates were accused of participating in a criminal conspiracy to directly aid the Russian effort, allowing Trump and his political allies to insist there was “no collusion” between the Trump campaign and the Kremlin. Nevertheless, Flynn, Cohen and Papadopoulos pleaded guilty to lying about their contacts with Russian figures. In Flynn’s case, he admitted lying to the FBI about his discussions with the Russian ambassador during the transition about relaxing sanctions on Russia. Cohen pleaded guilty to lying to Congress about his efforts during the 2016 campaign to secure a deal to build a Trump Tower in Moscow. Stone was charged with lying to Congress about his efforts to learn what emails and other documents were about to be released by WikiLeaks — material that had been hacked by Russian military intelligence agents. But the most explosive parts of Mueller’s report may be those dealing with Trump’s own efforts to obstruct the Russia investigation, including his firing of FBI Director James Comey, and other attempts to impede or curtail the probe. It is those details that may ultimately determine the president’s fate — when the public eventually gets to see whatever is released in the Mueller report.